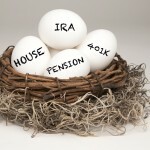 So You’re an Executor, Now What? If you are the Executor of an estate here is your crash course in what you need to do to satisfy your fiduciary obligation. You are tasked with collecting and safeguarding all assets and debts of the estate as well as honoring the wishes outlined in the Will. Depending on the size of the estate, this may also involve gathering all financial accounts, paying any relevant taxes, continuing property insurance and, if necessary, making any beneficiary distribution. You are permitted to hire an attorney to help with any of the above – which may be a good idea so as to insulate you from family squabbles if all beneficiaries don’t get along. 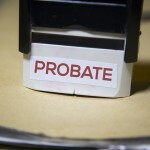 Providing timely Notice of Probate and obtaining waivers from beneficiaries must not be overlooked as well. First, locate the original copy of the Will. If you are also the designated funeral agent, hopefully the Will contains a provision that allows you to make funeral arrangements immediately. Note that even when a funeral is preplanned and prepaid, some funeral directors may not take direction unless the authority is specifically outlined in the Will (this may also depend on your relationship to the deceased). 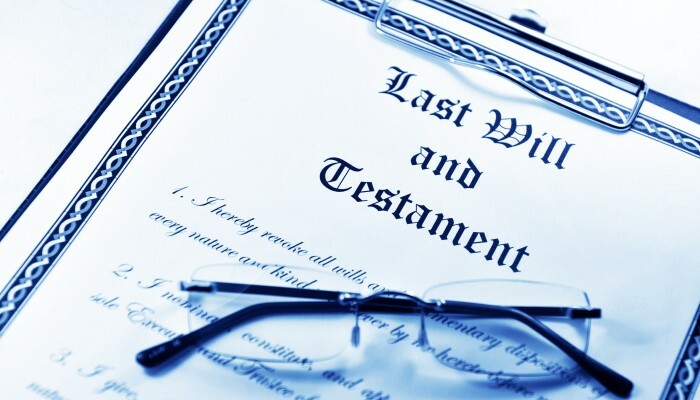 Next, the original Will along with other essential estate related information will need to be submitted to the Surrogate’s Court in the County where the deceased lived in order to begin the Probate process. 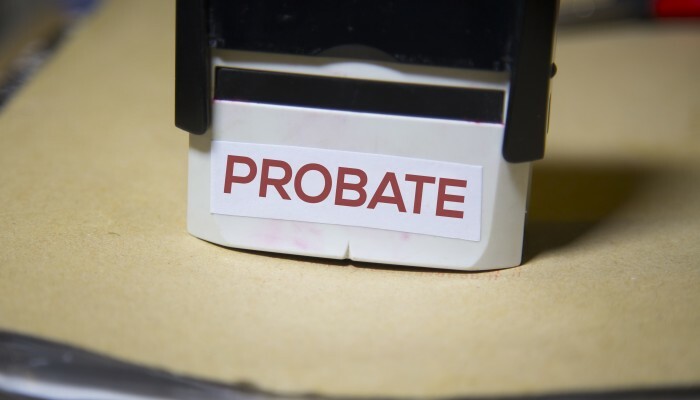 In New Jersey, Probate can begin as early as the 11th day following the death, however, the application may be submitted anytime during the Probate waiting period. Many clients incorrectly believe that a Power of Attorney (POA) document can be used to access the financial information of the estate. This is not true because a POA has no legal effect after death. Instead, the Surrogate will issue to the Executor documents called Letters Testamentary and Short Certificates. 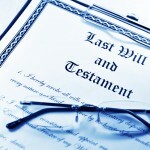 These documents will allow you to access all financial information related to the estate. This article is not intended as legal advice. Be sure to consult with an experienced attorney when contemplating any of the above described matters. About the author. Daniel Del Collo, III is an Estate Planning and Elder Law attorney with an office located in Mount Laurel, New Jersey. He is also a member of the National Academy of Elder Law Attorneys. To discuss this article or any others, you can contact Dan at (856) 533-2405. You are Wealthier Than You Think: Protect Your Assets! If you have a child and a home, you are ready for an Estate Plan. And by the way, you are likely wealthier than you think you are. Clients are often surprised after completing my client questionnaire (which requires a step-by-step asset analysis) that they have considerable more assets than originally thought. 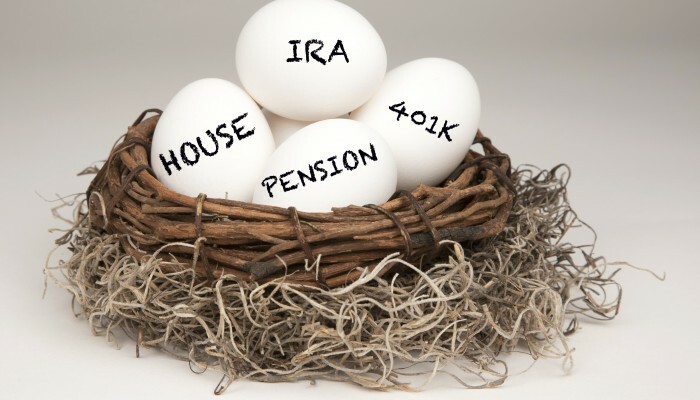 For example, when contemplating your family’s wealth do you remember to count all retirement plans from every job you and your spouse have ever had (401Ks, IRAs, pensions, death benefits, etc.)? Also don’t leave out home equity, life insurance and any other items of value that are oftentimes overlooked like antiques, collections or hobbies. Protecting assets can be as simple as making sure your beneficiary designations are up-to-date to creating a Trust within your Will for life insurance proceeds intended to provide for a minor or disabled child. This article is not intended as legal advice. Be sure to consult with an attorney when contemplating any of the above-described matters. FALSE. A person who is suffering from various forms of dementia such as Alzheimer’s, Parkinson’s or any other neurological disease may still have the requisite legal capacity to execute a Last Will and Testament, Power of Attorney and Living Will (also known as an Advanced Medical Directive). The standard for executing such documents is based on an individual’s legal capacity (and it is not based on a medical standard). An experienced Elder Law attorney will know how to determine if a client has the requisite capacity to execute such documents. Oftentimes, those suffering from these diseases are the ones who are in most need of Estate Planning, especially if there are no documents currently in place or prior documents are insufficient. This is because the need for trusted caregivers to access financial and health information is paramount to providing the necessary care for an individual who is dealing with the above-listed issues. FALSE. Sadly, too many banks nowadays are concerned about liability connected to financial abuse. The end result is that some banks unnecessarily reject legitimate Power of Attorney documents as matter of internal policy. When this happens, cite to the banking provision in your Power of Attorney. This extra step combined with the fact that you will provide them with a “Certified Copy” of the original usually clears up any issues. If the issue persists, it is time to contact the attorney who drafted the documents to help bring additional clarity to the situation. Transferring my Assets to my children will help me qualify for Medicaid. FALSE. This strategy is among the most-asked questions I deal with when discussing Medicaid matters. While there are certain legitimate Medicaid approved ways to transfer assets to a child prior to applying for Medicaid, the above-mentioned strategy may cause catastrophic problems when done incorrectly. The timing of the transfer as well as other factors such as whether the recipient suffers from a disability may also impact an applicant’s success. FALSE. While prior to December 2014, it was true that individuals seeking Medicaid approval for assisted living or home care arrangements were subject to an income limit, this is no longer the case. Since then, individuals seeking Medicaid to cover the cost of assisted living, home arrangements or in a nursing home must use a qualified Income Trust (QIT) on a monthly basis, whether or not it is above the current monthly income cap of $2,199 (for 2016). Other rules for QIT management apply but the upside is that monthly income may no longer be a bar to Medicaid approval. 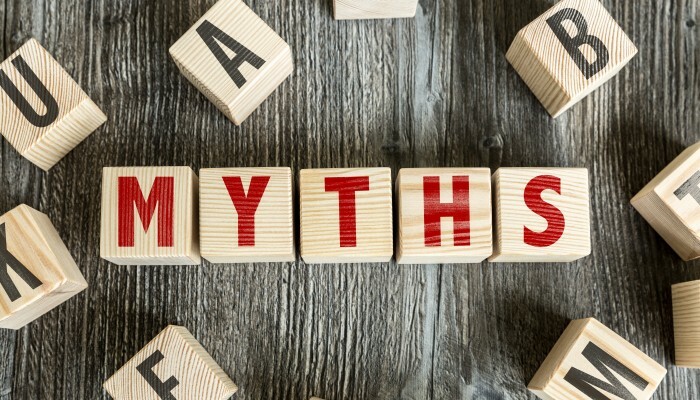 The following article reveals five (5) reasons why you need a Will: (1) selecting a guardian, (2) protecting family assets, (3) saving on Estate Tax, (4) making funeral plans and (5) disinheritance. The ability to name a guardian for your minor child in your Will is a powerful estate planning tool in the event that your child is ever left without parents. Making this decision testate (within the Will) locks in your selection of the individual(s) you wish to fill that role, otherwise the decision may be out of your control which oftentimes involves court intervention and high legal costs. When selecting a guardian, consider carefully the opinions of your spouse (or if unmarried, your co-parent). Also consider who will best honor your overall parenting style and financial resources. You may choose co-guardians and input from the potential guardian should also be contemplated. Along with selecting a guardian, having a Trust within your Will for your minor child is also strongly recommended because it safeguards any inheritance for specific purposes outlined by you beforehand. For example, a Trust can be used to pay for higher education, healthcare and other necessary expenses at the discretion of a Trustee who is also appointed by you (note that the guardian and Trustee may be the same individual(s)). Married couples with a child and significant assets (house, bank accounts, retirement, life insurance, etc.) may be able to save a significant amount of Estate Tax liability for their heirs with the use of Trusts within their Wills. 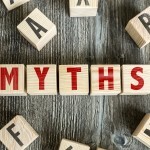 This is because when passing wealth to the next generation, inheritance held in Trust may bypass certain Estate Tax liability. For example, on a $1 Million estate that may mean an Estate Tax savings of approximately $30,000. In New Jersey, a named Executor in a Will has the authority (during the 10-day Probate waiting period) to make funeral arrangements so long as the Will contains the correct funeral disposition language, otherwise the planning and burial may be on hold for at least 10 days after death. Dying without a will in New Jersey may cause your estate to go to someone who you’d rather leave out. This is because the law instructs that when an individual dies without a Will, the beneficiaries are pre-designated by law. As a general rule, leaving a spouse less than 1/3 requires consent (the elective share), however, cutting children and other family members out requires no such consent and can be accomplished with the correct Will language.This article is not intended as legal advice. Be sure to consult with an attorney when contemplating any of the above-described matters. Where’s Your Will? 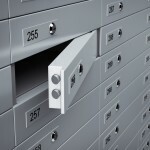 Avoid the Safe Deposit Box! When it comes to the safekeeping of your original Will, I advise clients to avoid using a safe deposit box because doing so may trigger a time-consuming process to gain entry to the box once the owner passes away. And delayed access to a Will can impact the Probate process and funeral planning (see below). 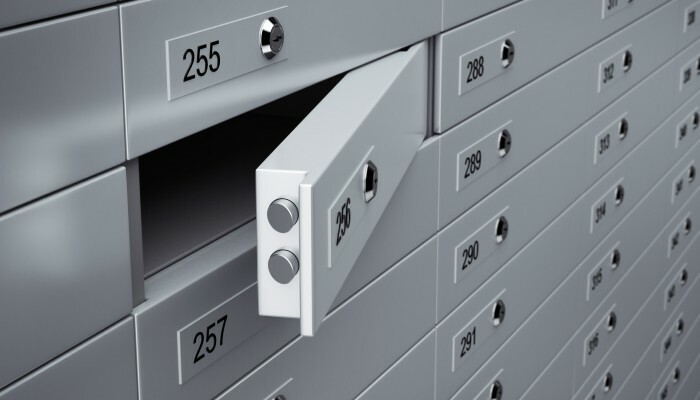 It’s a “catch 22” scenario because the document that gives an executor the authority to access the safe deposit box is locked away within the box itself. And even if a good personal relationship existed between the deceased and the banker, a financial institution may not honor a copy of the Will after death due to its own internal liability policy (there is no proof that a copy represents the most recent original). Recall also that a Power of Attorney document is useless to gain access to the box because once the principal passes away, the document has no legal effect. Another need for quick and easy access to the original Will is for funeral planning. In New Jersey, a named executor in a Will has the authority (during the 10-day Probate waiting period) to make funeral arrangements so long as the Will contains the correct funeral disposition language, otherwise the planning and burial may be on hold for at least 10 days after death. Instead, I suggest placement of an original Will (and your other Estate Planning Documents) in a fireproof home safe, fireproof lockable filing cabinet or your lawyer’s office, provided it is equipped with lockable fireproof storage. When storing originals at home, be sure to communicate the location to your Executor. This article is not intended as legal advice. Be sure to consult with an experienced attorney when contemplating any of the above-described matters. Copyright © 2015 Wills Trusts Medicaid Estate Planning & Elder Law Attorney.